Big Road Blues Discussion Forums • View topic - Ideas for new speakers & tubes? Ideas for new speakers & tubes? I have a 1992 Fender Vibrover '63 reissue, brownface. 40 watts. Comes with reverb/trem. I bought new in '92 and have made no changes to the stock hardware. I'd like to swap out the speakers and preamp tubes. I'm also curious about changing the rectifier/power regulator from solid state to tube. Can it be done? Is it expensive? Is it even worth it..? I dont know sh*t about this stuff so, you experts out there will have to dumb it down for me a little. Please give me some opinions. Re: Ideas for new speakers & tubes? I have a Mullard 12AT7 that's never been used. Picked it up from a store that specializes in tube audio equipment. 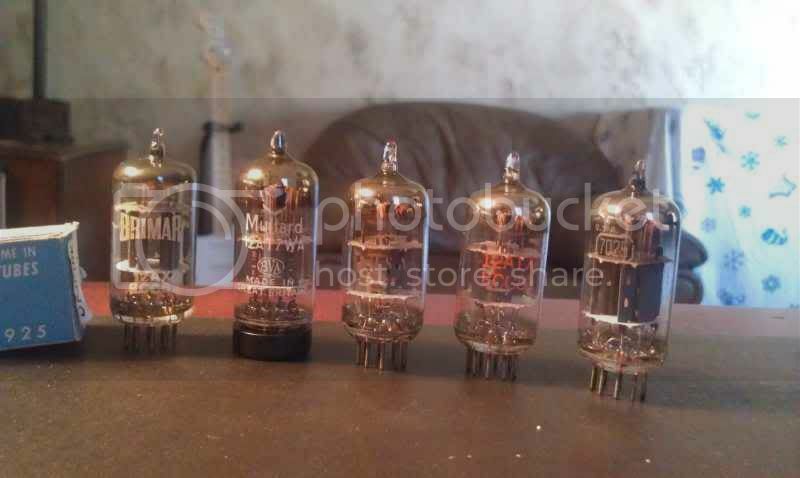 I also have some no name 12AX7's and 12AT7's that all function. I'm a firm believer that old glass sounds way better than new glass. I've tried all of these tubes except for the Mullard and all of them had their own unique little character to them and all of them sounded great. I especially like a 12AT7 in the preamp section of my Valve Junior because it's a little lower gain. It seems to give me a little bit more headroom. I've resized the picture and it will not show up at the proper size. It's showing up at full resolution. Man, photobucket pisses me off. I've tried six times. Anyway, if you're interested, I can email you the picture. That's great Lefty. I can see the photo just fine. Any suggestions on speakers? Celestions? I don't really have any experience with speakers except that I once swapped out the stock Epiphone speaker in a solid state Epiphone amp with an Eminence Red, White and Blues and it sounded much, much better. i would like to ask what it is about the stock speakers you don't like?? ?part of the reason i ask is i sometimes like the sound of mismatched speakers.for example,one speaker with clear highs and one speaker with punchy low end.you might want to try swapping just one of the speakers that has the opposite quality of your stock speakers.